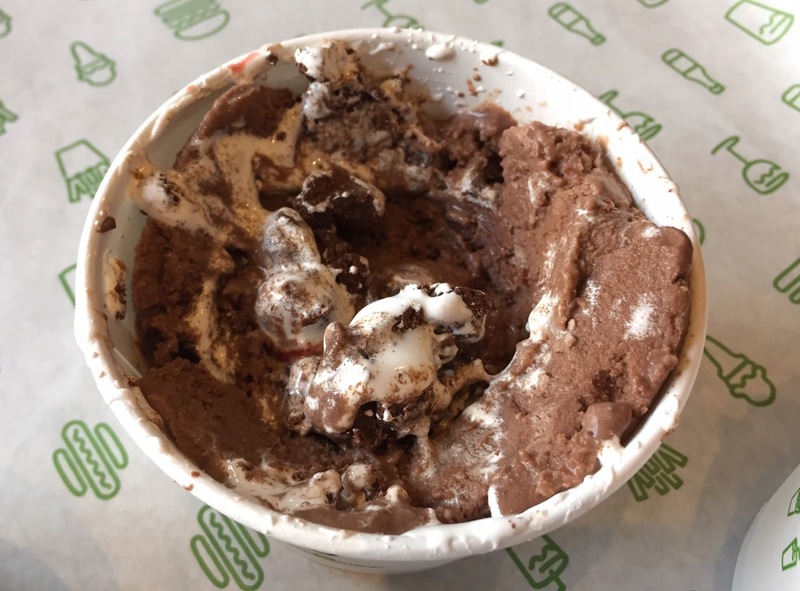 MInT Chocolate is available at Harvard Square with Crimson Red Velvet and Lobstah Shell. As you could guess, it's pun of MIT, which is in Boston, too. It consists of chocolate custard, minted marshmallow sauce and chocolate truffle cookie dough. 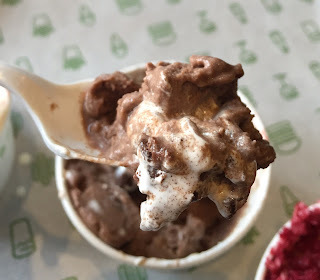 The chocolate flavor in the frozen custard was strong, and the cookie dough was chewy and rich. I was hoping the marshmallow sauce would have good amount of refreshing mint flavor, but it's quite weak and after several bites, I got tired of the bland chocolate flavor.